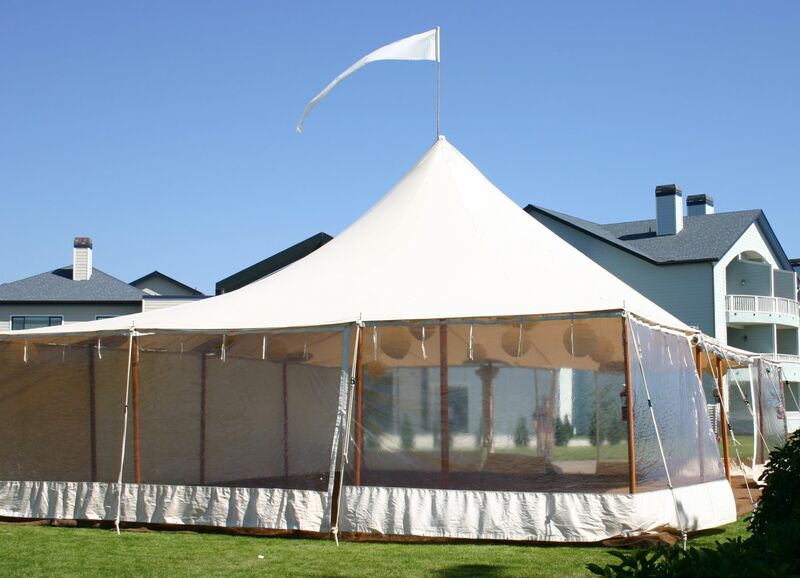 The 30′ x 40′ tent has one center pole and, unlike our other tents, does not have rounded ends. 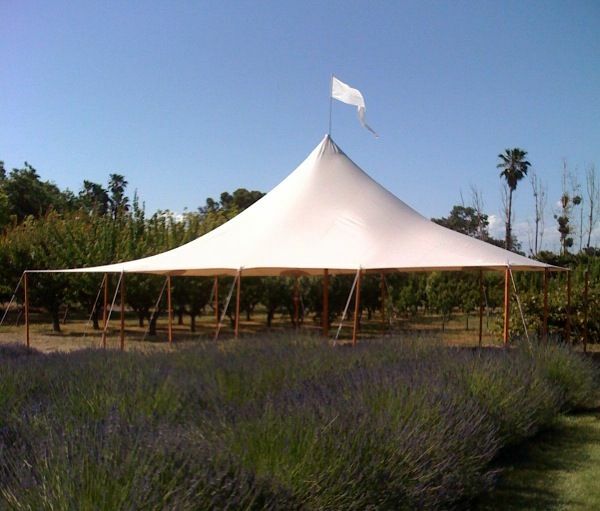 With an area of 1,200 square feet, this rectangular tent can hold up to 80 guests seated or up to 120 guests standing. Please note seating capacities vary as event space requirements differ for each event. 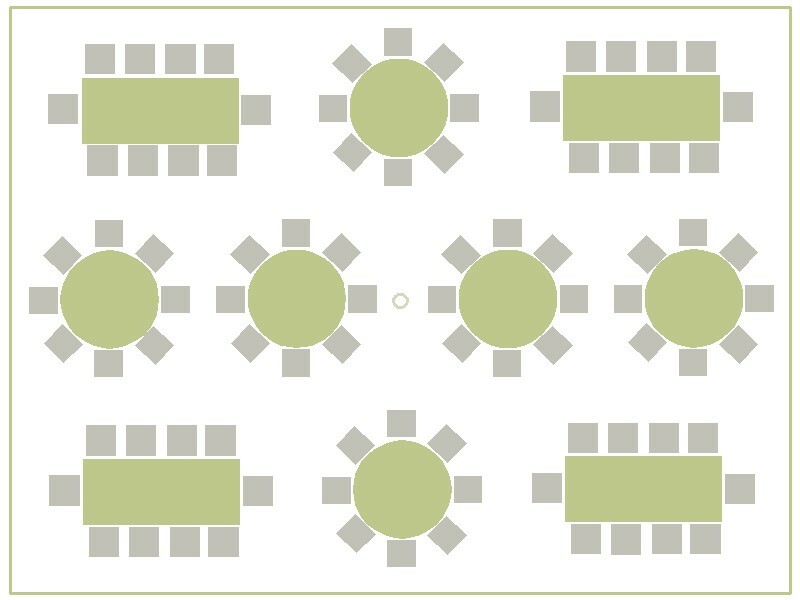 The above sample diagram shows 88 guests seated at (4) farm tables and (6) 60″ round tables.